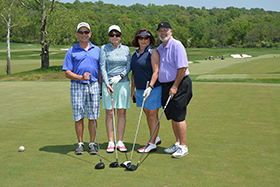 Nearly 250 golfers came out swinging during Devereux Advanced Behavioral Health Pennsylvania’s 2018 Golf Classic, held at the Philadelphia Cricket Club in Flourtown, Pa., on May 15. The golf tournament along with live and silent auctions and a cocktail/dinner reception for attendees generated nearly $140,000 for the organization. Funds raised will directly impact the lives of more than 3,500 children and adults served by Devereux in Southeastern Pennsylvania in the areas of educational and residential programs, therapeutic foster care, and employment and community-based services. 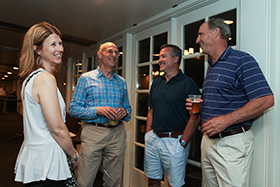 For more than 30 years, the annual golf outing has raised money to support the mission of the organization, which is to unlock and nurture human potential for people living with emotional, behavioral and cognitive differences. To learn more about Devereux Pennsylvania and its legacy of helping individuals, families and communities in need, click here. From left - Karen Shakoske, Jess Lempa, Daneen Downey and Wanda Sirko of Janney Montgomery Scott. From left - Nicky Meyers, Betty Morrison, Cathy Genuardi and National Devereux Trustee Francis “Skip” Genuardi. 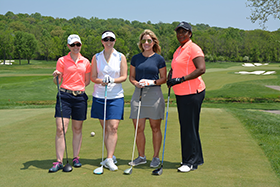 From left - Devereux Senior Vice President of External Affairs and Chief Strategy Officer-elect Leah Yaw; Devereux President and CEO Carl E. Clark II; and Devereux Pennsylvania Advisory Board Member and Golf Classic Committee Chair Howard Lebold. 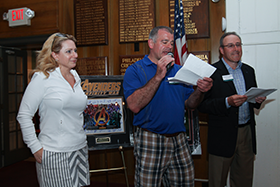 From left - Melissa Snyder; Devereux Pennsylvania Advisory Board Member Phil Glick; Devereux Pennsylvania Golf Classic Committee Member Kyle Snyder; and Devereux Senior Vice President and Chief Financial Officer Bob Dunne.